Nicki Minaj new mobile game is now available on the App Store and one thing we instantly noticed is that it comes with a “Truffle Butter” nightclub. Nicki Minaj: The Empire has been in the making for several months now and is being touted as a version of the hugely popular Kim Kardashian: Hollywood. But unlikely Kim, we can all agree that the Trini rapper is famous for her musical talent so her version will come with some bomb soundtrack. Miss Minaj teamed up with Glu Mobile, who also made the Kim Kardashian game and a few other celebrity mobile games. The fame simulation game went live on Wednesday this week and one of the things players were talking about the most on social media was the “Truffle Butter” club. Of course one of Nicki Minaj’s biggest singles over the last two years is The PinkPrint single which features guest appearances from Lil Wayne and Drake. The derivative of the name is still a bit controversial in hip hop, go look up the meaning on the Urban Dictionary. Another notable feature of the game is the ability for players to record and upload their original raps over Nicki Minaj’s beats and these recordings could ended up reaching the ears of the Young Money rapper and her management team. You never know, this could be your lucky break. Kim Kardashian game generates hundreds of millions of dollars annually, it will be interesting to see if Nicki Minaj app can top that. 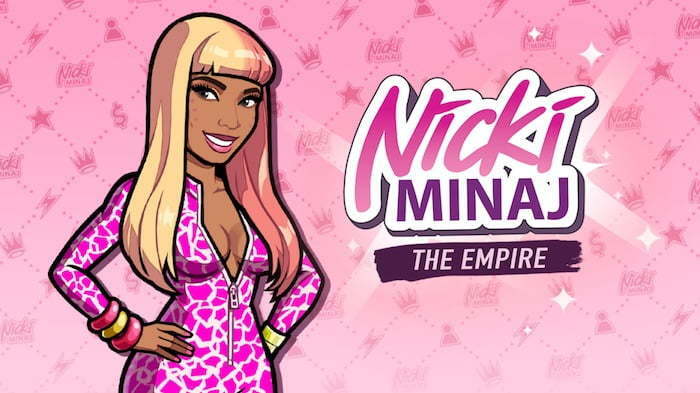 She currently has 70 million followers on Instagram and another 20 million on Twitter so she got already has promotion down to the T.
Nicki Minaj: The Empire mobile game is available for iOS and Android devices. Get it on the App Store here. Have you played the game? share your feedback in comments below.